Building Talent in the Construction Industry - Duffy Group, Inc.
For most construction companies, the recruiting and hiring process is an ongoing challenge. Because of a shortage of qualified people in the construction industry, only construction companies that are willing to address today’s small candidate market and take the necessary measures to ensure that they get ahead of the competition will win out and hire the most talented and qualified workers. Additionally, with drug testing, criminal records and other background checks disqualifying a high percentage of potential hires, there is a dire need to increase the number of applicants. The construction industry saw tremendous growth of 11 percent in 2015, but realized only one percent growth in 2016. 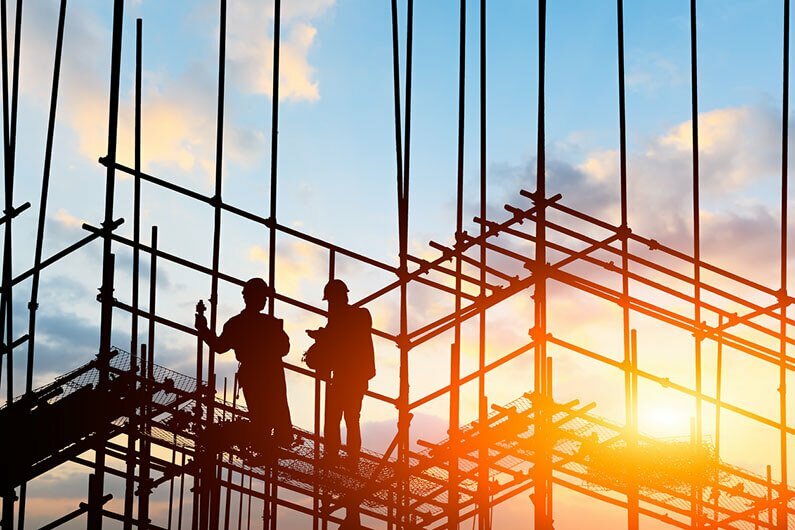 However, new projections show the construction industry rebounding to a growth level of five percent and a total value of $713 billion for the 2017. This translates to more projects starting up and more workers of all types will be in demand. According to the Bureau of Labor Statistics, despite the predicted need for more workers, the primary working age group (those between the ages of twenty-five and fifty-four years old) is projected to decline, resulting in approximately three million fewer workers in this age range alone. Pair that with impending retirement of the baby boomers and recruiting qualified people into construction-related positions has never been more critical. So much depends on a company’s ability to attract, recruit and retain talented people, and there are a number of action items to consider in order to maintain a competitive edge over other companies vying for the same potential employees. If your company uses modern techniques, equipment, technology and tools, then promote that about your company to entice people to come work for you. A long, drawn out interview process can lead to missed opportunities. Many times, candidates your company is interested in might have multiple opportunities presented to them during the time they are looking, so a streamlined hiring process will ensure the best results. Consider the offer you are about to present and be confident it is one that would truly attract the top talent in your area or if a difference in base salary is more important than the cost of a poor hire. Even though a potential candidate may be generally satisfied with his or her current position, that doesn’t mean he or she wouldn’t consider a different opportunity that might be better. These candidates might be harder to attract but they might be convinced to seriously consider a company with the right process, offer and culture. Retaining your current employees should always be a top priority. If you’re employees are not are happy and satisfied, encourage feedback and figure out how to improve the experience. Finding the right talent for your construction company can be a real challenge, taking a large amount of time and effort to search through a small candidate market. While there are many things to consider when trying to recruit talent for your company, partnering with a qualified recruitment firm, with a strategic multi-faceted approach to recruiting and leverage in the construction industry, ensures you will be more likely to acquire and retain successful hires.